“We felt the time was right for us to contribute to the success of this project and know our late parents would have strongly encouraged us and others to do so”. 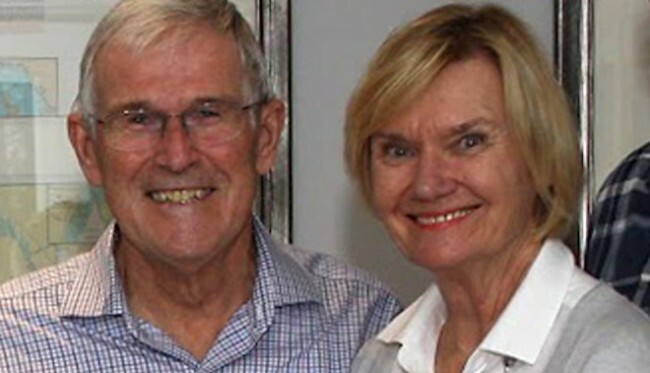 The International Estonian Centre Capital Campaign is delighted to receive a generous gift from Ants and Inga Toi. In their own words, here is why they chose to give to the project. Inga and I feel privileged to be able to support the International Estonian Centre/Eesti Keskus. We are eternally grateful for the support of our parents and the Estonian community when growing up. This allowed us to thrive, become successful and learn to appreciate our Estonian heritage. We now feel an obligation to similarly support future generations of Estonians. We feel this new modern Centre will help the Estonian community to develop and meet such needs. We have faith in the many capable, successful people involved leading the project. Their abilities, enthusiasm and dedication and the commitment of the Estonian organizations is impressive. We felt the time was right for us to contribute to the success of this project and know our late parents would have strongly encouraged us and others to do so. It also provides us with an opportunity to recognize my father Roman Toi’s life long dedication and contributions to Estonian heritage, language and values. Alar Kongats’ design is spectacular. It is contemporary and yet has links to Estonian heritage. This Centre will be up to date and purpose built to meet our community’s current needs. Yet it is flexible enough to meet future needs as they arise. This attractive Centre’s central, readily accessible location beside Tartu College, Bloor Street and University of Toronto will undoubtedly make it a popular gathering spot for Estonians and their non-Estonian friends. 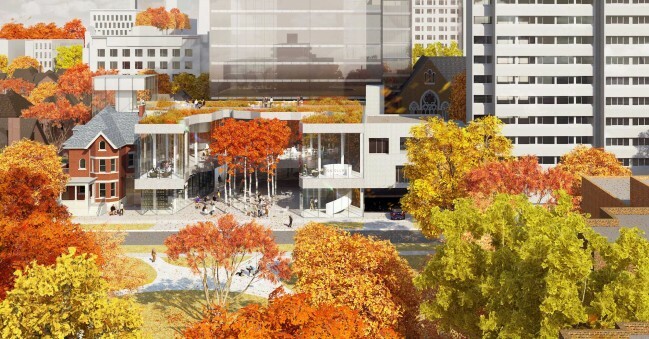 Further it will increase the presence and recognition of Estonians in the Toronto community. We encourage others to participate and support this important and exciting project. Every donation, no matter the amount, will help. The sooner funding is available, the sooner we will all enjoy this magnificent and exciting facility. Do you want to pay tribute to your roots? 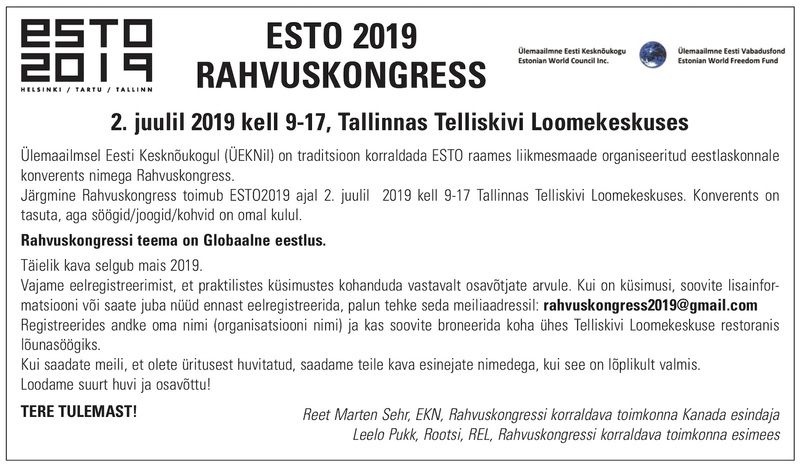 To find out how you can make a lasting difference in shaping the future of the Estonian community in North America, please contact International Estonian Centre Executive Manager Urve Tamberg at See e-posti aadress on spämmirobotite eest kaitstud. Selle nägemiseks peab su veebilehitsejas olema JavaSkript sisse lülitatud. All donors of $10,000 or more will receive recognition on a display at the new International Estonian Centre. Dedication opportunities are available for commitments of $100,000 or more. Please sign-up for our email newsletter at www.estoniancentre.ca, and follow us on Facebook @EestiKeskus.